Athena | Take Back Halloween! Athena is easily the best-known and most popular Greek goddess. Yet none of the so-called “Athena” costumes for sale out there look remotely like her. Come on, people! She’s Athena! Helmet! Shield! Spear! 1. Gold satin flat sheet. This is for your tunic. The Greeks wore simple draped tunics of dyed wool, a look which is easily replicated with sheets and safety pins. We give you instructions below on how to pin it together. A full size sheet will work for most people. 2. 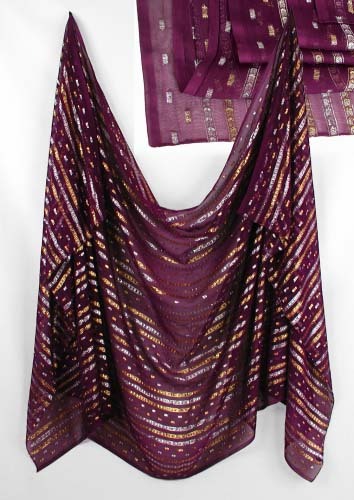 Purple veil with gold and silver threads. Also available at Moondance and Artemis Imports. This is your purple himation. Loop it under one arm and knot it on your opposite shoulder. 3. Greek helmet . This is from the movie 300, which is as close as we’ll get to a Greek helmet without paying a fortune. We suggest cutting off the nose piece. This is a very flimsy latex helmet, so don’t expect a lot. 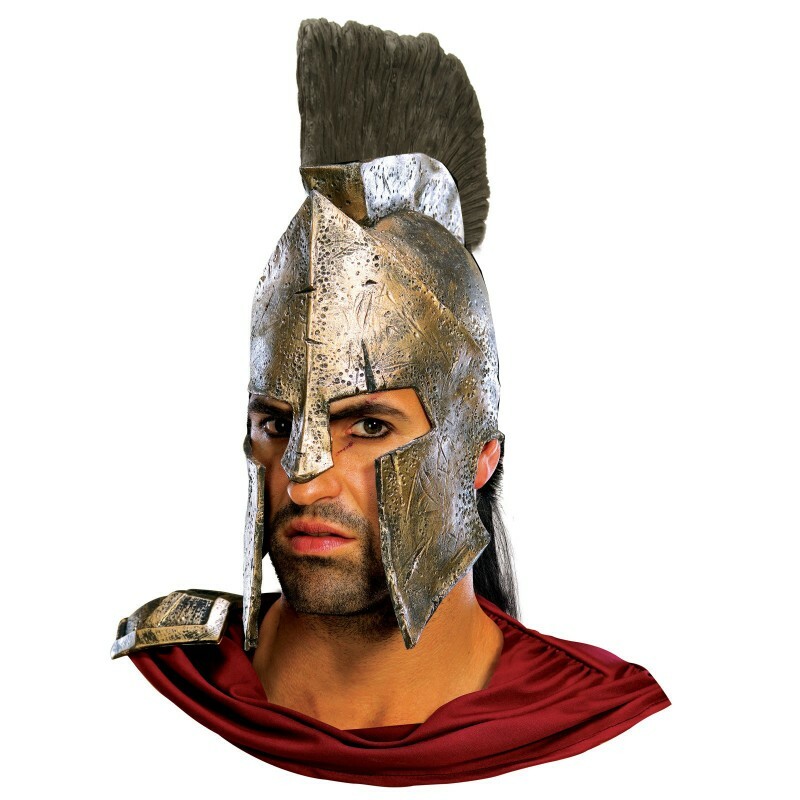 Another option is this helmet , which seems to have real bristles in the crest (not molded plastic). The helmet itself is definitely made out of fabric, so you can cut and trim it to suit. 4. 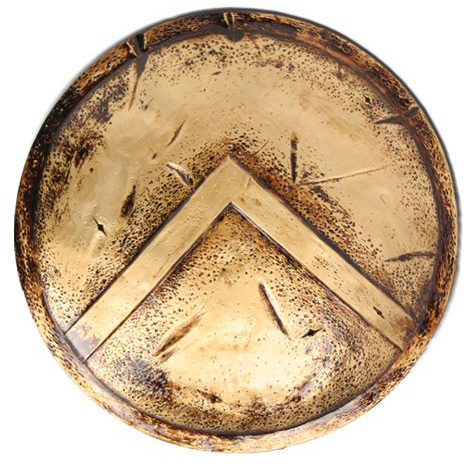 Greek shield . Another 300 movie prop. 5. Greek spear . Same deal. 6. 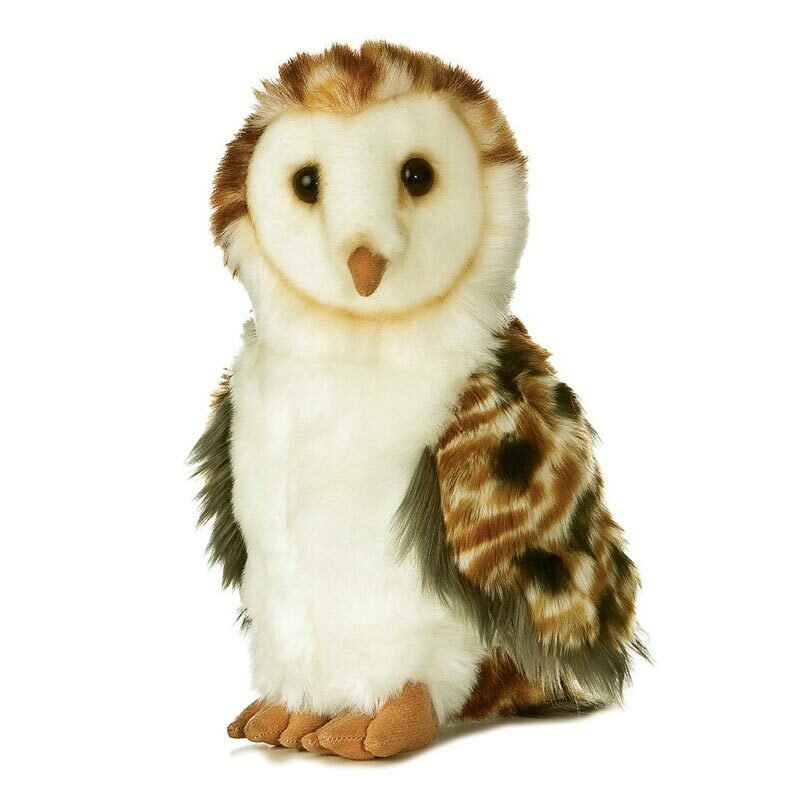 Plush 9″ barn owl . Adorableness is not a trait usually associated with Athena, but this stuffed owl is adorable. Use safety pins to attach it to your shoulder at the place where your cloak is knotted. The owl is Athena’s totem animal; in fact, when you get right down to it, Athena is an owl. She’s the Neolithic bird goddess: owl-eyed Athena. Optional snake armband: The snake is the other animal associated with Athena. Her statue in the Parthenon was accompanied by a humongous rearing snake, worked in gold like the rest of the sculpture. If you want to incorporate some snake references in your costume, you might consider a fat snaky armband like this . Athena doesn’t wear jewelry, so this would be your only ornament. Shoes: Gold gladiators would be ideal. If you don’t have those, just basic flat leather sandals will work. 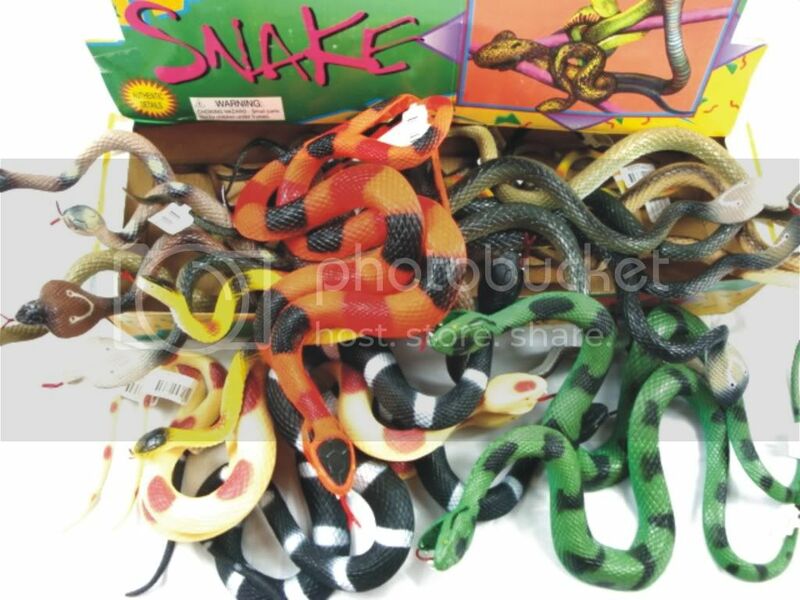 Get one of those plastic face masks (like this, maybe) and some little toy snakes (like these). Just spray paint them the colors you want them to be, and glue them to your shield. It should be much less heavy than a stone casting. 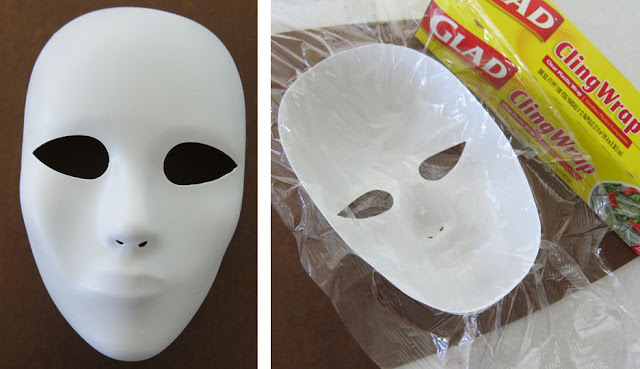 Although if you HAD a stone casting, you could wrap it in plastic wrap, and then soak some cloth in watered-down Elmer’s Glue and drape it on top of the mold, poking it into the nooks and crannies to make sure it takes on the right shape. Once it dries, you can glue it to your shield or wear it or whatever. I have masks I made that way out of felt or cheesecloth that have held their shape for years. Super easy. Those are wonderful ideas. Thank you so much, Ember! 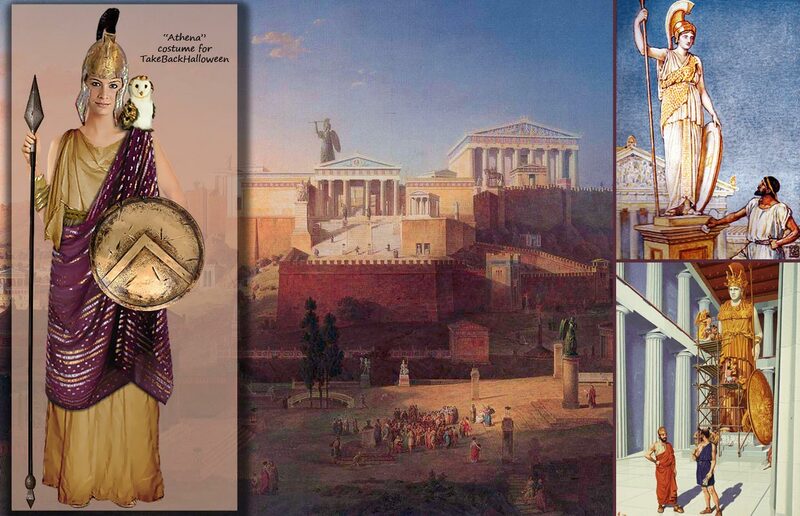 Illustration credits: The central painting in our main illustration is The Akropolis of Athens by Leo von Klenze. The painting in the lower right corner is Pericles And Pheidias Consult About Creation Of Statue Of Athena by H.M. Herget. We don’t know the provenance of the image in the upper right corner.